At approximately 1.05pm today (Sunday 29 January) Clogher Head RNLI received a call from the Marine Rescue Coordination Centre (MRCC) in Dublin when it was reported that a man had fallen overboard from a fishing vessel 9 miles east of Clogherhead, County Louth. Left to right: Chris Yalden, Jonathan Lloyd, Lucy Jones, John Lowe (RNLI), Kelly Jeffery, Brian Abbott (RNLI) and Liz Jefferiss. 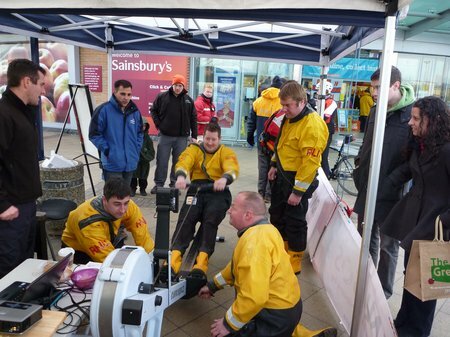 Around 25 Staff at the Exeter office of international engineering company WPS took part in the RNLI’s biggest fundraising day of the year on Friday 27 January, SOS Day. 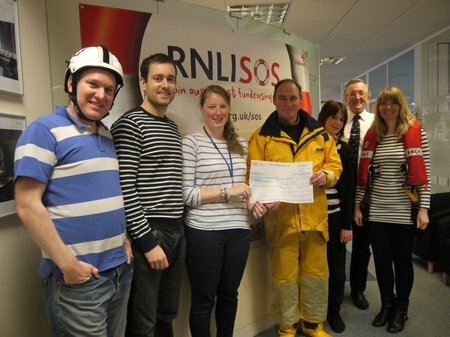 Volunteers from Exmouth RNLI visited their office to thank them for their generosity. Yorkshire Building Society’s Exeter branch is on a mission to raise funds for its chosen Charity of the Year, the Royal National Lifeboat Institution (RNLI). 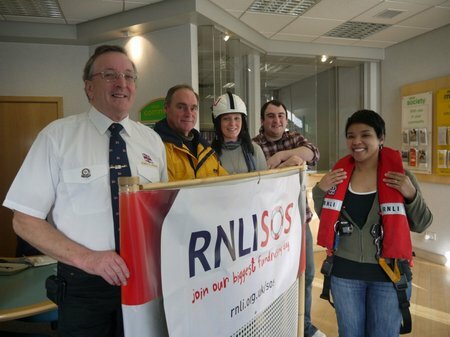 To celebrate the launch of their 2012 fundraising, staff were joined by RNLI volunteers from Exmouth lifeboat station as they took part in the charity’s biggest annual fundraising event SOS Day, on Friday 27 January. Ever wonder how far it is from Cork to Swansea? 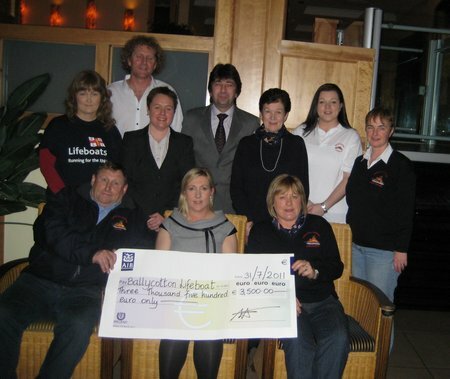 Staff at the 4 star Garryvoe Hotel, on the shore of Ballycotton Bay in East Cork, decided to run a fundraising event that would cover the distance to raise funds for their local RNLI lifeboat station across the bay in Ballycotton. 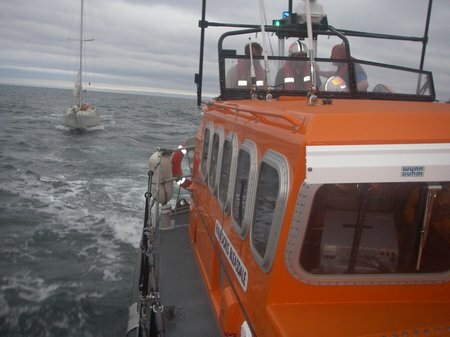 Lifeboat volunteers from Sunderland RNLI Station scrambled into action for the sixth time in 2012 early this afternoon to assist the crew of a motor cruiser, after it suffered engine 1 mile off Sunderland. There’s been a positive response to a new public launch alerting system being trialled at the RNLI lifeboat station in Brixham. 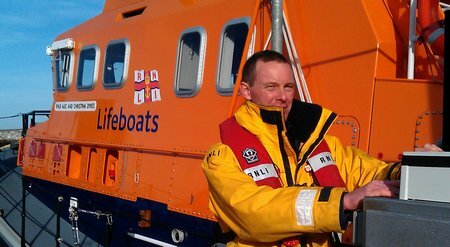 The signal, a six second siren, will be sounded when the charity’s volunteer crews launch their lifeboat to an incident. The idea is that residents and visitors to the town and harbour users will know when the lifeboat is putting to sea. 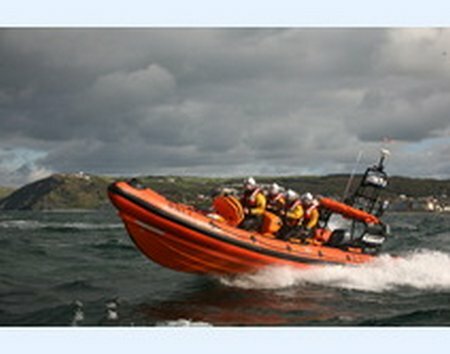 Aberystwyth RNLI lifeboat searches for three swimmers. 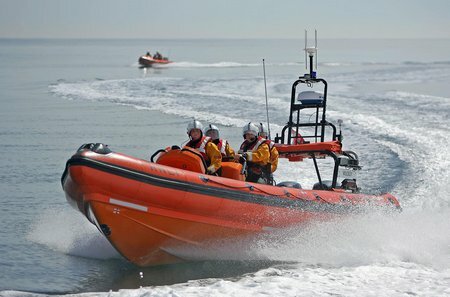 Aberystwyth RNLI lifeboat launched on Tuesday (24 January) to search for three swimmers off South Beach. 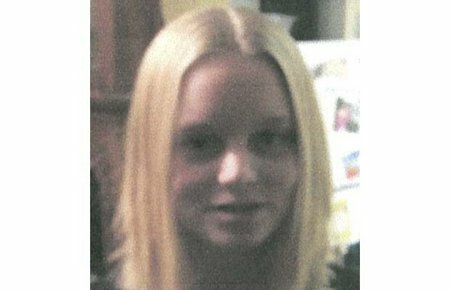 Melina has returned home safe and sound. Rescue service has stood down.